The Chase Single section Roof Ladder designed and manufactured in the UK provide the ultimate in safety on the roof. 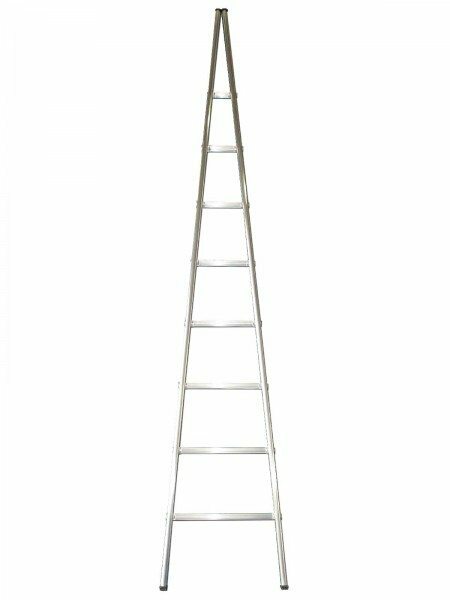 These heavy duty single section roof ladders are manufactured to BS2037 standard using industrial strength aluminium, with oval section stiles and heavy-duty non-slip rungs and incorporate a heavy-duty ridge hook. To prevent any damage to the roof they have rubber covered bearers bars to distribute weight evenly. 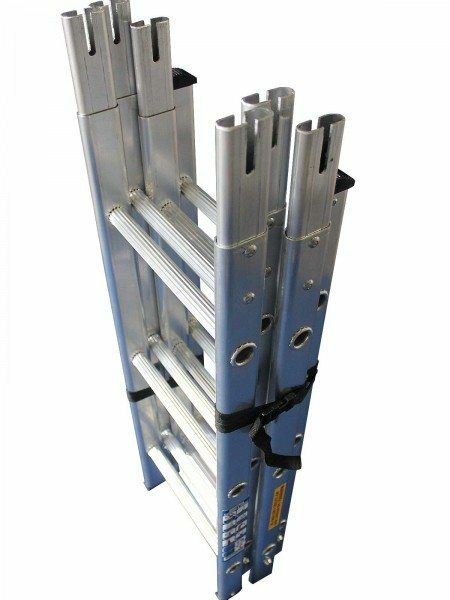 Unlike the majority of roof ladders available these ladders are manufactured in the Uk to Class 1 Standard and are tested to a maximum safe load of 175kg. In stock and ready to dispatch – 2-3 day delivery time excluding Scotland, Ireland and Islands. Please note: Roof hooks are supplied loose and the ladders jointed for ease of carriage. These require bolting together by the customer – fixings are supplied. • Strong oval box section stiles. • Serrated round rungs at 300mm centres. • Ridge hooks constructed from 25mm square tube with 100mm dia running wheels. • Bearer bars fitted with protective PVC sheathing. • Additional bearers can be fitted if required. This is intended to be a general guidance note and has been produced as a response to customers’ questions in relation to the use of the above work equipment. We will not accept any claims for consequential losses arising as a result of the content. This document should be read in conjunction with other advice given by bodies such as HSE. Compliance with statutory instruments such as the Work At Height Regulations 2005 should be ensured all times. The Chase 2 part Extending Roof Ladders designed and manufactured in the UK provide the ultimate in safety on the roof. 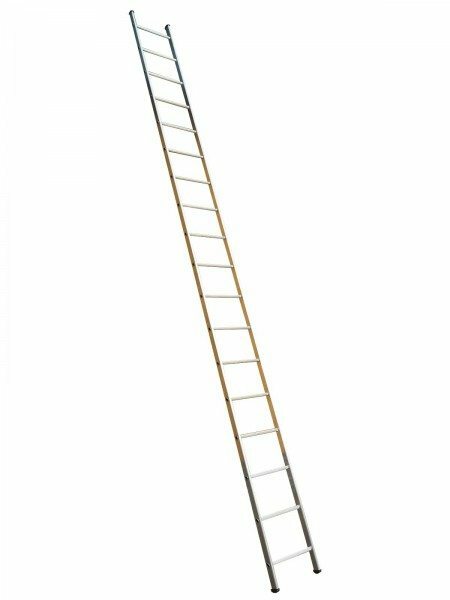 These heavy duty roof ladders are manufactured to BS2037 standard using industrial strength aluminium, with oval section stiles and heavy-duty non-slip rungs and incorporate a heavy-duty ridge hook. To prevent any damage to the roof they have rubber covered bearers bars to distribute weight evenly. 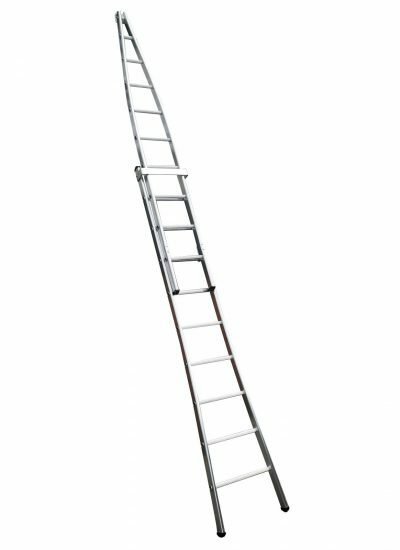 Unlike the majority of roof ladders available these ladders are manufactured in the Uk to Class 1 Standard and are tested to a maximum safe load of 175kg.In stock and ready to dispatch – 2-3 day delivery time excluding Scotland, Ireland and Islands. 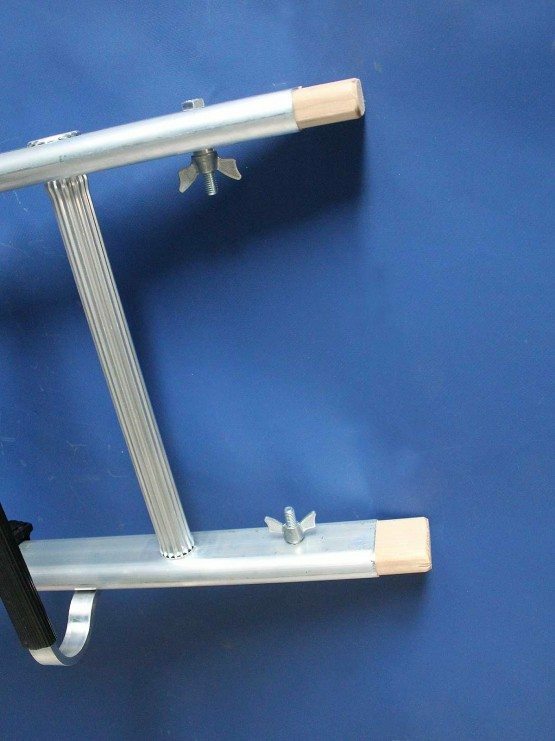 Superior Single section/aluminium pole ladders designed and manufactured in Great Britain by Chase Manufacturing. Width over the stiles of 330mm and fitted with non slip feet provide a comfortable standing surface and provide maximum grip when climbing up or down the ladder. 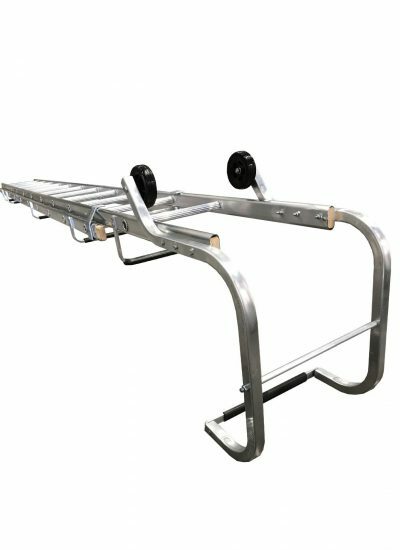 The New and improved British made aluminium Double section extendable window cleaners ladder designed and manufactured by chase ladders. 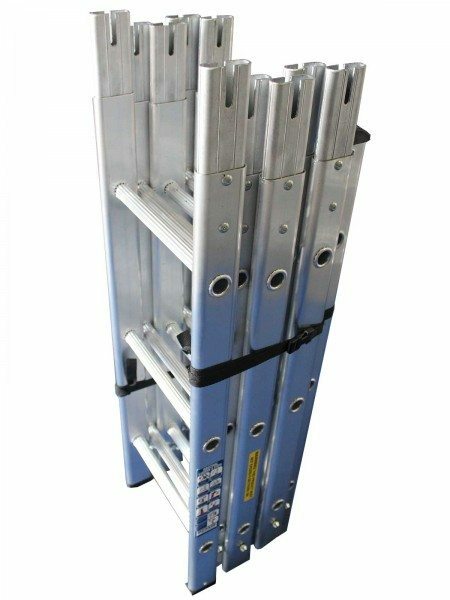 The double section window cleaners ladders feature comfortable oval box section stiles, deeply serrated round rungs and rubber feet top and bottom and 150kg maximum permissible load.Optional white non-marking top block available at time of ordering. Aluminium Sectional Surveyors ladders designed and manufactured in the UK by Chase Ladders. 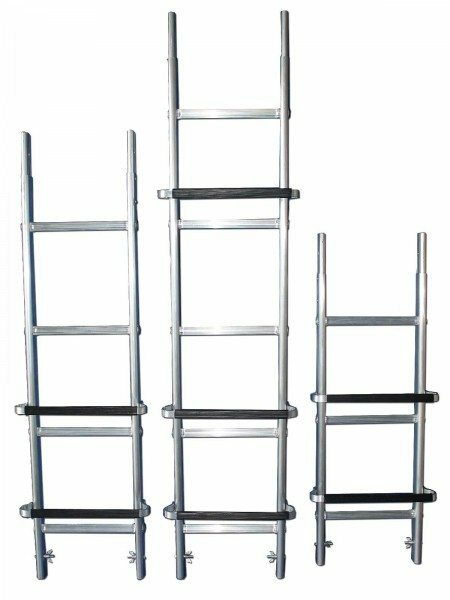 The Commercial Surveyors Unit range of sectional ladders uses sections to provide a maximum length of 3.65m. Each section is 900mm long, 320mm wide with aluminium spigots and rungs at 300mm centres. The ladders close to a length of 1.03m and are 345 mm wide, small enough to be carried in the boot of a car. All CSU models have captive wing nuts for quick and easy assembly and disassembly and Strong oval box section stiles for extra strength and rigidity. Rubber feet top and bottom and deeply serrated round rungs. Supplied with nylon stowage straps with quick release buckles. Designed with the professional surveyor in mind. Heavy Duty Sectional Surveyor's Ladders designed and manufactured in the UK by Chase Ladders. All of our Heavy Duty Sectional Surveyor's Ladders (CSUH models) have captive wing nuts for quick and easy assembly and disassembly. Strong oval box section stiles for extra strength and rigidity. Rubber feet top and bottom and deeply serrated round rungs. Supplied with nylon stowage straps with quick release buckles. The ladders close to a length of 1m, small enough to be carried in the boot of a car. Designed with the professional surveyor in mind. Roof Ladder Extension Pieces (fitted with spigots and secured with wing nuts) designed and manufactured in the UK by Chase Ladders. Featuring Strong oval box section stiles and serrated round rungs at 300mm centres. Ridge hooks constructed from 25mm square tube with 100mm dia running wheels and Bearer bars fitted with protective PVC sheathing to help with roof protection. Tested to 175KG maximum permissible vertical static load. Additional bearers can be fitted if required - please indicate this at time of order. 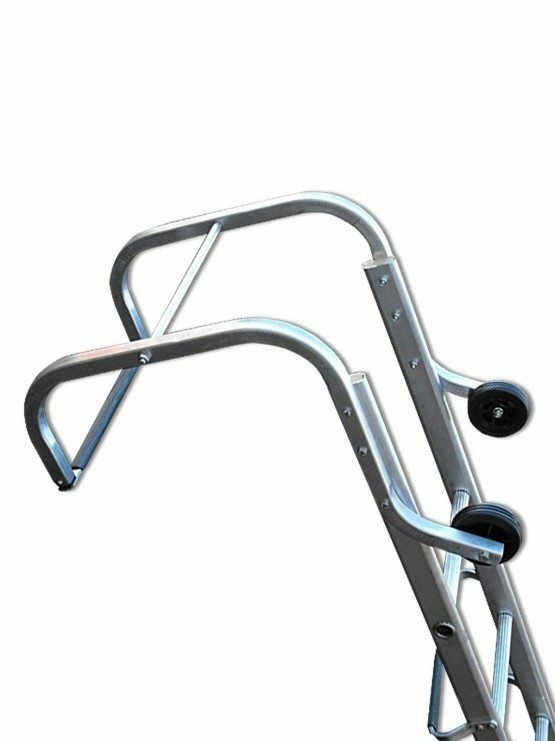 A British made aluminium single section window cleaners ladder designed and manufactured by chase ladders. The single section window cleaners ladders feature comfortable oval box section stiles, deeply serrated round rungs and rubber feet top and bottom.Optional white non-marking top block available at time of ordering.